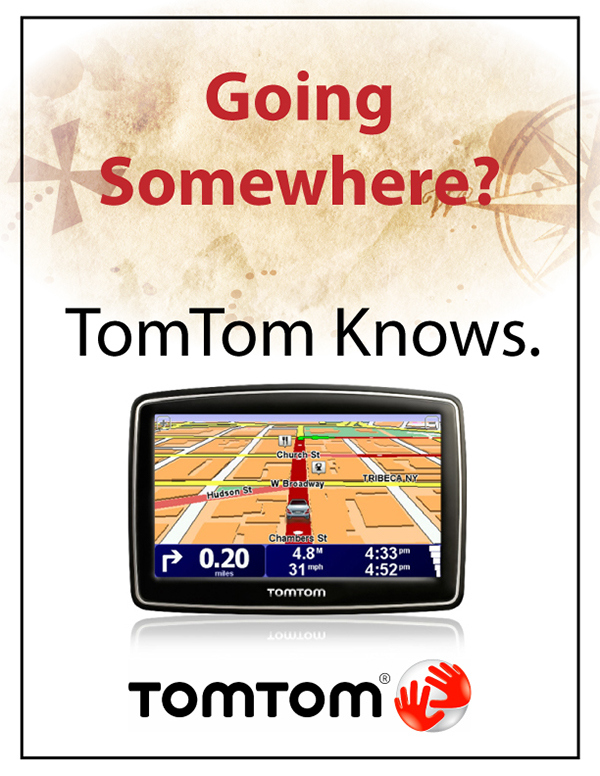 The TomTom advertising campaign explores the idea of TomTom knowing the answer to any driving problems you may encounter. Need to find a gas station? Need directions for a road trip? Need a new route around traffic? 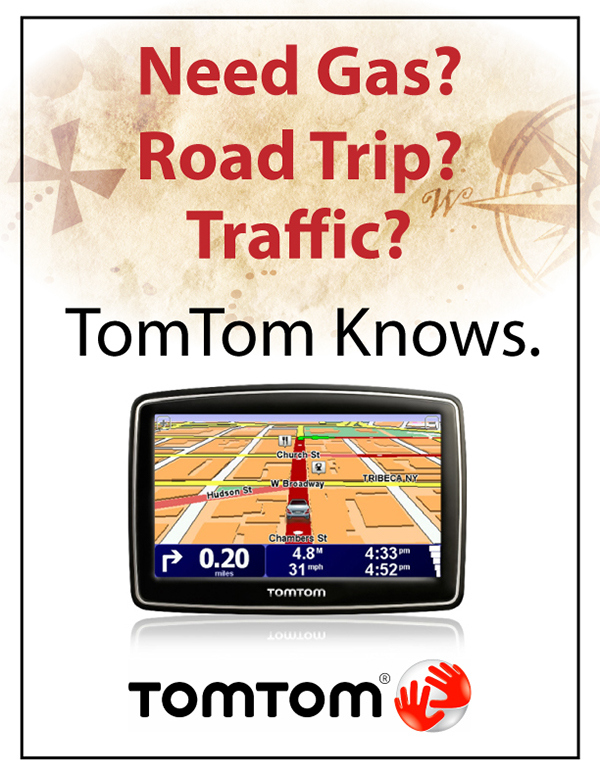 TomTom Knows. The campaign consists of both magazine and billboard ad formats.